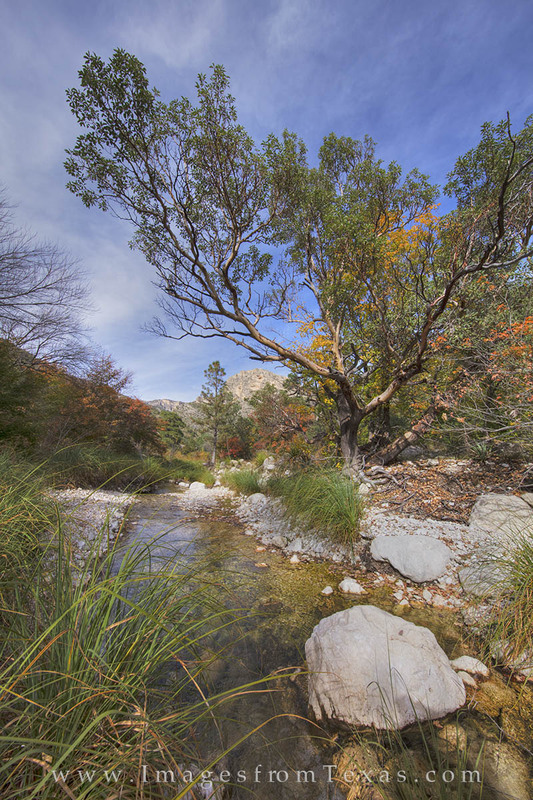 This vertical image of a small creek in McKittrick Canyon shows the iconic Texas madrone tree with bigtooth maple trees in the background. Fall colors in Texas come alive in late October through early November in this remote region. Guadalupe Mountains National Park offers miles of hiking trails and plenty of opportunities for exploration no matter the time of year - from fertile canyons to Guadalupe Peak, the higest point in Texas. Photo © copyright by Rob Greebon.